With its classic curves, the new Ambi range of kitchen sink mixer is a perfect blend of elegant design, advanced engineering and fantastic functionality. 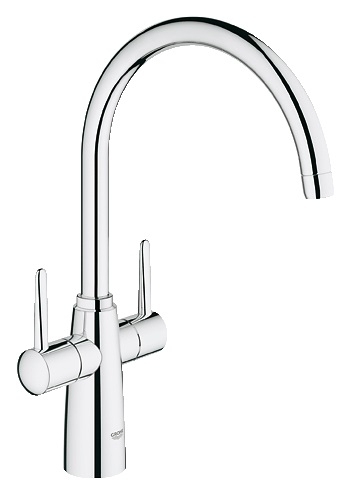 The Ambi faucets, which feature Grohe StarLight for a superb and durable finish, come in two eye catching styles. The cool and sleek Cosmopolitan mixer is guaranteed to complement any modern kitchen while the Contemporary mixer is designed to withstand the rigorous demands of a busy family. Ambi Contemporary Two handle sink mixer 1/2"